If you thought flared skirts, tube skirts, baja shirts and rock-star shearling pants and jackets were left in the 70’s, you are truly mistaken. With the preview of Pre-Fall 2015, it is comfortable to say that this coming winter is a 70’s blast from the past. I was never a huge fan of the 70’s trend but the current collections are mind blowing. 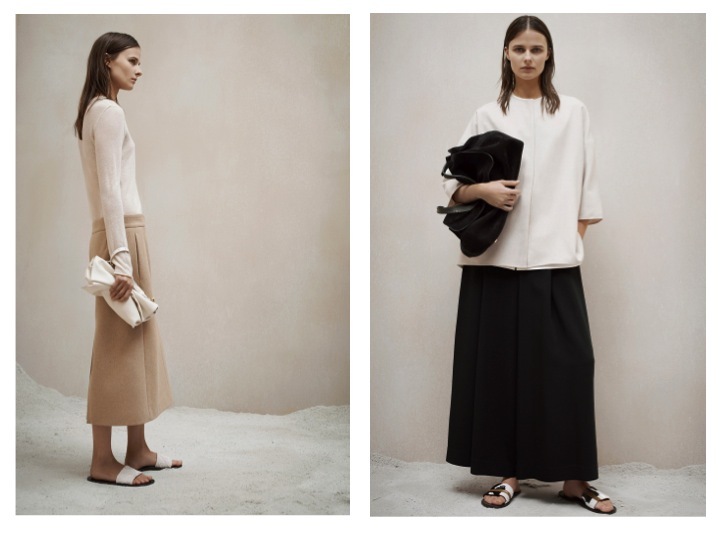 with over-sized garments from The Row and comfortably chic over the ankle flared dress from J.W Anderson; there is just something about this trend that has got me hooked. If you are opting for a dress that is flared and over the ankle (J.W Anderson) always aim for a very simple and minimalistic remainder of the outfit. I would settle for a pair of very simple slim ankle booties with a simple matching mini day clutch. Chloe went all out with the 70’s inspiration, with most of the pieces matching perfectly with knee high or even thigh high boots. Do not throw out those boots just yet, looks like you will be needing them coming Fall. Reblogged this on nikissblog's Blog.